Recently I've been selling a few things over on my Depop account (link). Ranging from pieces that I no longer wear to vintage finds, that I've picked up along the way. 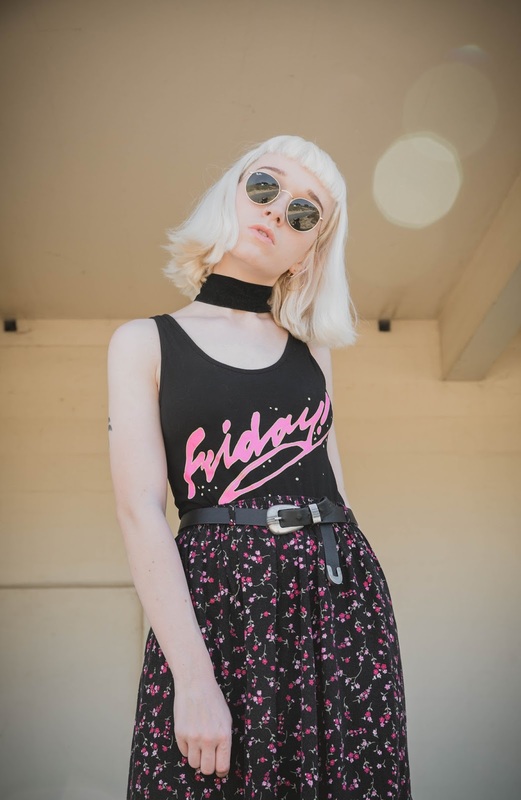 A few of these vintage pieces come in the form of these floral (90s) inspired midi skirts and the one featured in todays post, being one of them. 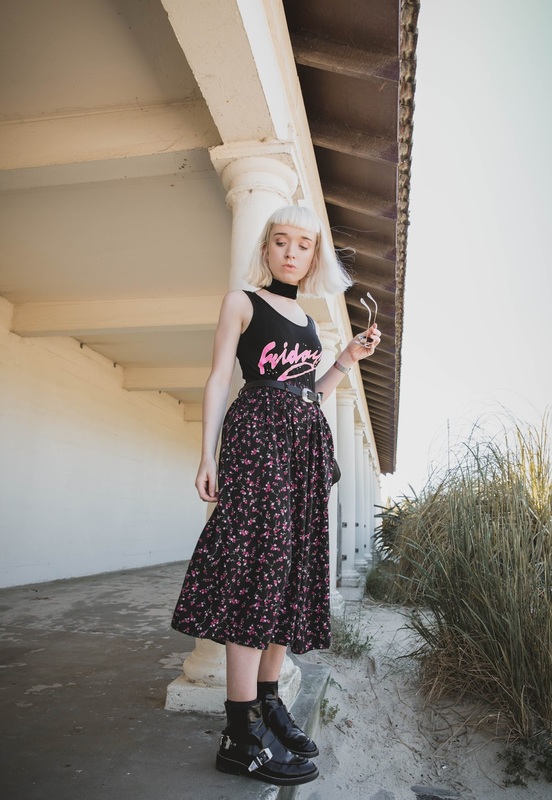 I personally feel like when a floral midi skirt is styled well, it can add an effortless/grunge feel to a whole outfit. 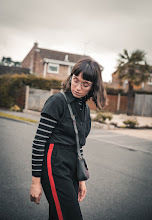 Especially as the warmer temperatures are among us meaning that my ever growing collection of bodysuits can finally be worn in all their glory (with no layering in sight). So with those two pieces in mind I decided to pair them both together for what I call a 'relaxed summer look', accompanied my 'classic' ankle boots because lets face it, its going to have to take a heatwave to part from these.